Is it possible to change the amount of information the brain can store? Maybe, according to a new international study led by the Research Institute of the McGill University Health Centre (RI-MUHC). Their research has identified a molecule that puts a brake on brain processing and when removed, brain function and memory recall is improved. Published in the latest issue of Cell Reports, the study has implications for neurodevelopmental and neurodegenerative diseases, such as autism spectral disorders and Alzheimer's disease. "Previous research has shown that production of new molecules is necessary for storing memories in the brain; if you block the production of these molecules, new memory formation does not take place," says RI-MUHC neuroscientist, Dr. Keith Murai, the study's senior author and Associate Professor in the Department of Neurology and Neurosurgery at McGill University. "Our findings show that the brain has a key protein that limits the production of molecules necessary for memory formation. When this brake-protein is suppressed, the brain is able to store more information." Dr. Murai and his colleagues used a mouse model to study how changes in brain cell connections produce new memories. 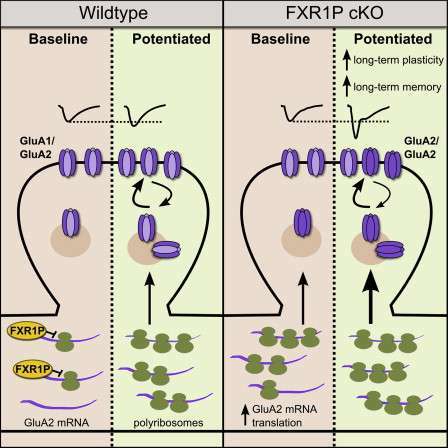 They demonstrated that a protein, FXR1P (Fragile X Related Protein 1), was responsible for suppressing the production of molecules required for building new memories. When FXR1P was selectively removed from certain parts of the brain, these new molecules were produced that strengthened connections between brain cells and this correlated with improved memory and recall in the mice. "The role of FXR1P was a surprising result," says Dr. Murai who is part of the McGill Centre for Research in Neuroscience. "Previous to our work, no-one had identified a role for this regulator in the brain. 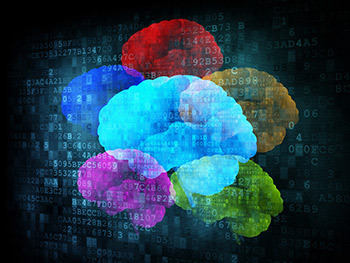 Our findings have provided fundamental knowledge about how the brain processes information. We've identified a new pathway that directly regulates how information is handled and this could have relevance for understanding and treating brain diseases."